This Halloween themed toilet roll craft couldn’t be easier and so much fun to make with the little ones. Just paint and decorate as you wish, with whatever you have to hand. 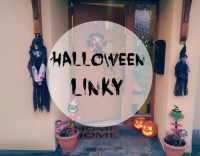 You can make really cute Halloween decorations on the smallest budget and all the family can get involved. We made a little Frankenstein, Mummy and Witches Cat. However you could also make a Vampire, Monster, Bat, Ghost or Witch. We used sugar eyes, but you could also use googly craft eyes or stick on circles of craft paper. I still have Christmas crafts from my boys made with those rolls into angels, santa, snowmen, reindeer, and one is even a nutcracker (had some papertowel rolls, too). right thats it, I’m holding onto the empty bog rolls! Ha ha!!!! The children are always stealing mine to make marble runs with!!!!! Great idea and so simple. My four year old would really enjoy this as he is so into Halloween at the moment. 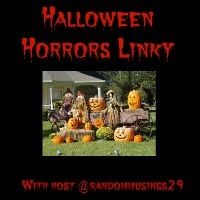 Thanks for linking up to my Halloween Linky.